If you work in an office, chances are you’ve been offered a cake – whether it’s for someone’s birthday, charity bake sale or whatever other excuse for eating a sweet treat. Well, this so-called “Cake Culture” is spiralling out of control, as a dental leader warns it’s fuelling the obesity epidemic and contributing to poor dental health. 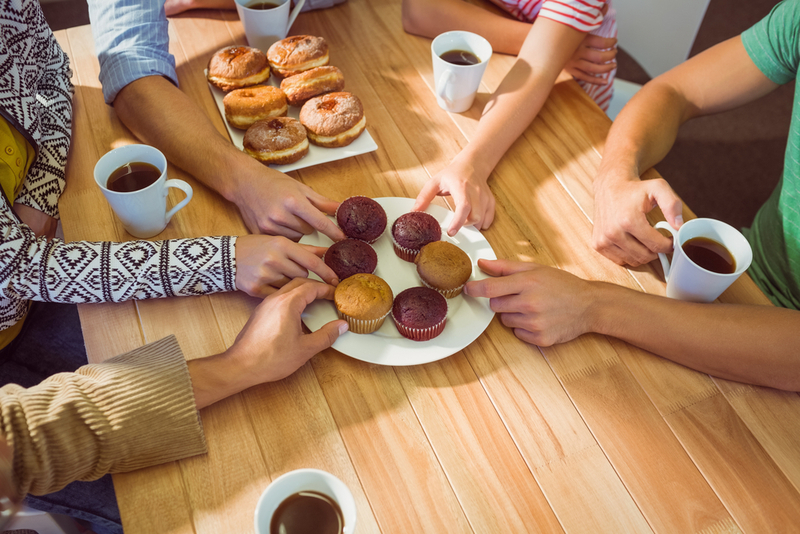 Professor Nigel Hunt, dean of the Faculty of Dental Surgery at the Royal College of Surgeons warned workers to bring healthier options into the office instead of the usual mix of cookies, cakes and doughnuts. 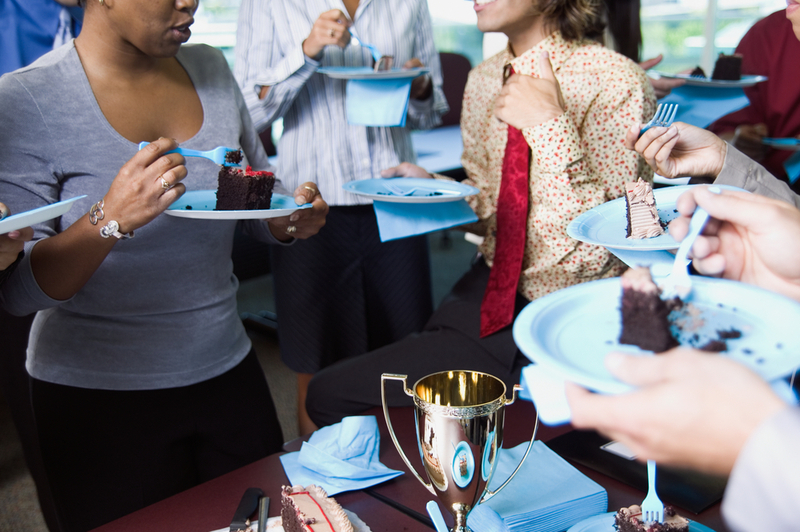 From managers rewarding staff for their good efforts, colleagues bringing food back from holidays and workers celebrating special occasions, the workplace has rapidly become the primary site of your sugar intake, contributing to the current obesity epidemic. “It is particularly dangerous that this is lying around the office all day for as we know, sugar has a particularly negative effect if it’s eaten outside of meal time,” Professor Hunt said at the Faculty of Dental Surgery’s annual dinner. Cake culture also makes things difficult for people who are trying to lose weight or become healthier – as the temptation is strong to many who are on diets for the sweet taste of the likes of triple chocolate biscuits! And no - a ban is not the answer. 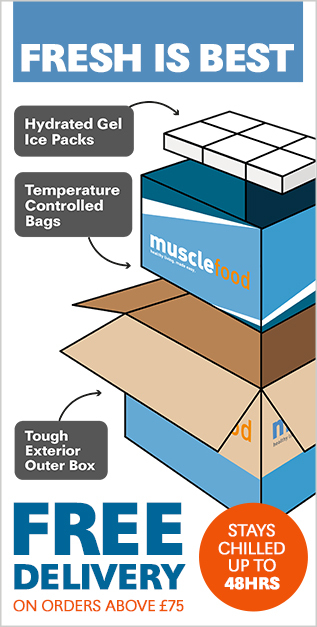 A change in culture is the way forward… And maybe switching out those standard sweets for our healthy alternative at Muscle Food. Planning a doughnut run? Bake up a batch of Klean Krispy Kream Pronuts for the ultimate crave curbing treat. Or maybe your office just can’t get enough cakes – sort them out with some luxurious Lemmon Drizzle Cake Squares! 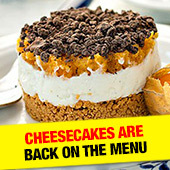 The list goes on and on in our BIG recipe book… Check them out and convert the cake culture. 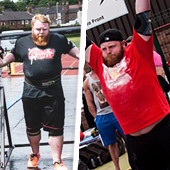 The strongest man in the Midlands shares his record-breaking knowledge! Walk your way to weight loss? 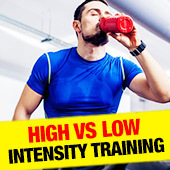 It's High vs Low Intensity Training in a fitness face-off!